I feel like I've had such great luck with the Lashblast mascaras in the past. My absolute favorite is the Clump Crusher, because I feel like it gives me those full, fluttery lashes that I love so much. Sometimes it might take a little bit of building, but the great thing about the combination of that formula and the brush is that you actually can build it up without it getting clumpy or spidery. 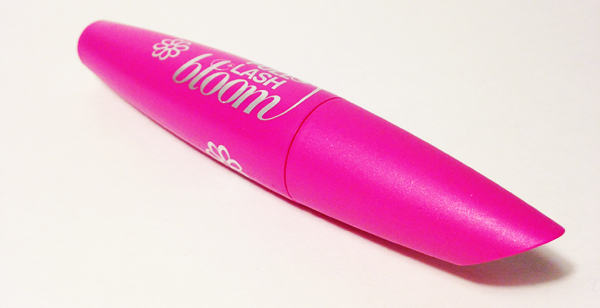 Now, enter a new addition to the Lashblast family of mascaras: Full Lash Bloom. Now, obviously, this brings to mind the idea of those full, fluttery lashes that I've always wanted to actually have. Has anyone ever noticed that men always seem to have those kinds of lashes? I am pretty much in complete fits of envy every time I look at my boyfriend's lashes and think to myself, "Why not me?????" Anyway. I had a coupon for $3 off this mascara and I figured it was definitely worth a try, if only because I was dreaming of those full, pretty, soft blooming lashes. So how did it do? Keep reading for more. 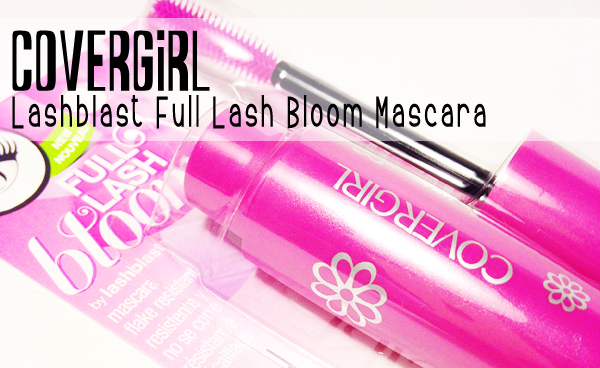 As you can see, this mascara comes in the same style of tube as the other Lashblast mascaras. It's thick and shaped a little bit like a bullet. I actually like this packaging because I find it pretty and I think that the handle on the lid makes it easy to hold onto and work with. I also like that they added a little bit of graphic detail with the silver text and flowers. It's kinda pretty. I feel like packaging can really work to help convince me that something is worth trying and this gets there on that. It references something that I already love but gives it a punchy twist. Two thumbs up on the packaging and marketing, CoverGirl. Performance... Okay, I'm going to start with the good, because anyone who knows me and this blog knows that I like to focus on the good. As far as wear time, I've found this holds up really well. I haven't noticed any smudging or flaking, which are two things that are always a killer for me when it comes to mascara. I also find that this is comparitively easy to take off, which is a nice change from some of the other mascaras I've been using recently - which have taken serious elbow grease to get off. So there are the brightsides. Now for the not so brightsides. I want to start with the actual application. While I don't find this to be a clumpy mascara, which is nice, I don't find that it builds much volume or length for me. For me, my perfect mascara would do both of those things in fairly equal measure. It does do a good job of separating, so that it looks like I have quite a lot of lashes, but those lashes really don't have any punch. It definitely doesn't give me the full, fluttery lashes that I was hoping for based on the name. I think that this might be a good mascara to layer with another mascara that gives more volume, since it would likely help to remove any clumps, but on its own there's just no... punch. And now for the brush.... OW! Okay. 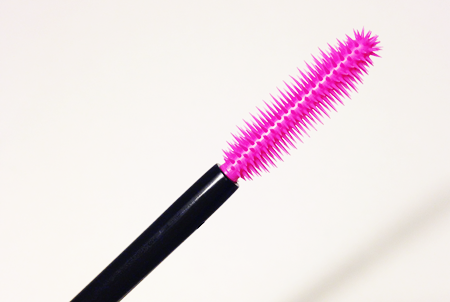 In the picture below, you can see that this mascara has very, very pointy rubber bristles on it. I, for one, tend to prefer a rubber bristled brush for the most part so that should have been a good thing. Unfortunately, the bristles are so hard that you have to be really, really careful or you will pretty much stab yourself in the eye. And it will hurt, trust me. I've stabbed myself almost every time I've tried this mascara and it sucked every single time. My overall thoughts on this are really... uninspired. I just feel like this is a product that you can absolutely skip. If you've never tried a CoverGirl mascara, I recommend the Clump Crusher in the green tube or the Lashblast Volume in the orange tube. They have a lower price tag at the drugstore and I find that they perform a lot better than this one does. I guess if all you're looking for is a little bit of definition and colour on the lashes, this is worth a try, but I feel like there are better options at a lower price point that are worth trying out if that's what you're looking for.